"This year, I have the chance thanks to McLaren to race for the win at Le Mans. With these words, two times F1 world champion Fernando Alonso confirmed the worst kept secret in motorsport today when he committed to race for Toyota not only at Le Mans but in their World Endurance programme. The 36 year old will combine an F1 season in a McLaren Renault with a WEC programme that starts at Spa 6 hours in May and takes in two 24 hour races at Le Mans. He tested Toyota's hybrid Le Mans car in Bahrain at the end of last season. He will do as many WEC rounds as he can, but will certainly miss the Japan round on Toyota's home track at Fuji, as it clashes with the F1 Grand Prix at Austin, Texas. It's exciting for motorsport fans as Alonso continues to break the mould of a modern F1 driver, after contesting the Indy 500 last season and Daytona 24 hours last weekend. 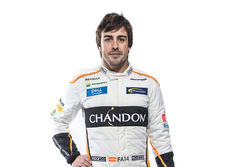 “It’s no secret that Fernando has wanted to contest the Le Mans 24 Hours,” said McLaren boss Zak Brown. “And I think everybody within our organisation appreciates that a motivated, hungry and happy world-class driver such as Fernando is a formidable asset for any team in F1. Toyota has confirmed that Alonso will race their number eight car with Formula E and WEC champion Sebastien Buemi and ex Williams F1 racer Kazuki Nakajima. The most recent success for an F1 driver was Nico Hulkenberg's win at Le Mans for Porsche in 2015. It was the first win for an active F1 racer for 24 years. 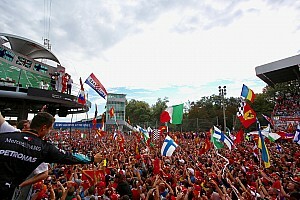 Alonso wants to win the "triple crown' of Indy 500, Le Mans 24 hours and the Monaco Grand Prix. Only Graham Hill has managed it. Alonso has won Monaco but not the other two. Juan Pablo Montoya has won Monaco and Indy, but not Le Mans. In modern times, the Triple Crown wasn't really a thing until Alonso dreamed up his quest to conquer it. This is partly to provide motivation after his F1 career veered away from his long stated goal of winning three world championships. Since his double success in 2005 & 6 the third title has proved elusive with McLaren, Renault and Ferrari. 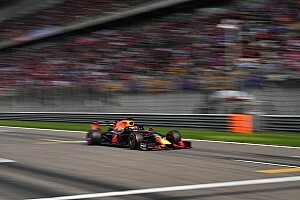 Time is ticking on his F1 career and younger stars have come through who are more likely to win the F1 championship than him, so the Triple Crown has become a plan and it unites motorsport in a positive way at this time, when audiences are changing their viewing habits. Alonso's challenge has certainly proved popular in the USA and he has backed it up with some powerful social media activation. 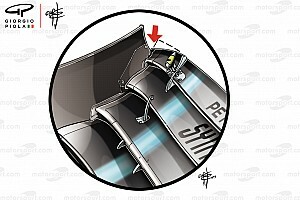 McLaren have been very supportive.